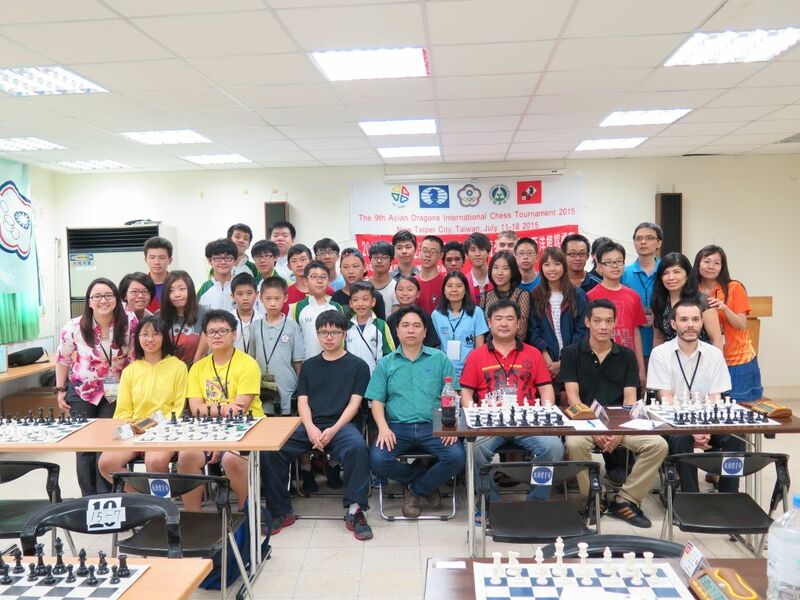 The Asian Dragons Invitational was held in New Taipei City from 11-18 July 2015 and attracted 35 participants from a record 8 countries. 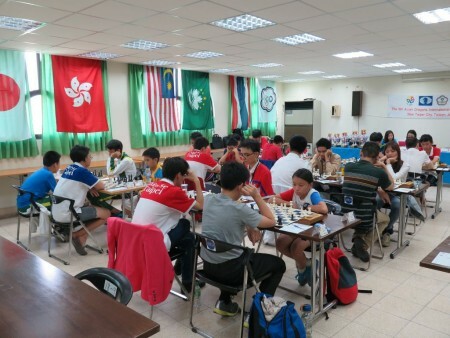 Since it first started in 2007 in Kaoshiung, this tournament has always been held in two categories – Open and U-16 – originally with two representatives in each from Hong Kong, Macau, and South Korea joining players from hosts Chinese Taipei. Singapore, through ASEAN Chess Confederation President Ignatius Leong, was for many years was the fifth invited country and initially provided the bulk of rated players and much needed competition. In 2009 the Asian Dragons moved permanently to Taipei and in the last two years it has opened up to accept select participation from other countries on a case by case basis, Japan being the earliest beneficiary with Malaysia sometimes a guest, and this year Thailand has become a welcome addition. Now in its ninth edition, this event has over the years grown and established itself as the region’s most important annual chess activity under the leadership of Chinese Taipei Chess Association President Tsai Szu-Chuen, his General Secretary Prof. Liu Ko-Fei and Organising Secretary Dina Chen. Through hosting Asian Dragons with a policy of limiting participation to ensure a competitive playing field for all, players in small federations have gotten opportunities for much needed exposure at the right level for them. Perhaps even more importantly organisers in the region have also gained valuable skills and experience and that can been in the hosting of the ASEAN+ Age Groups in Macau, Hong Kong International Opens, the Asian Schools Championship in Taichung last year and the coming Asian Youth Championships in Suwon, South Korea. This year’s Open (with ratings, give and take a little, capped at 2200) was particularly competitive with no less than six players considered to have a good chance of winning. Of the top foreign entries, Thailand’s Thanadon Kulpruethanon was top seeded and Poompong Wiwatanade the third seed with Alberto Muniz Pardino playing for Hong Kong the second seed while returning Japanese Noguchi Koji was seeded fourth. Liu Yeh-Yang is the No. 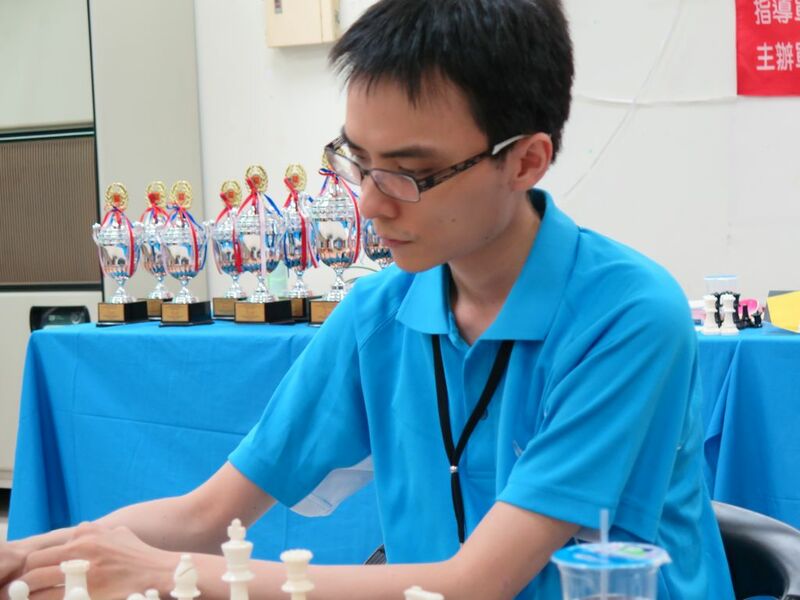 1 in Chinese Taipei and fifth seed and together with Lin Chung-Yu was expected to lead the local challenge. After five round it was Liu alone one point clear with Thanadon already dropping two draws and all other favourites having suffered losses and even after round six when he was slowed down with a draw against Sahapol Nakvanich, the subsequent seventh encounter between the leader and top seed seemed to have decided it. 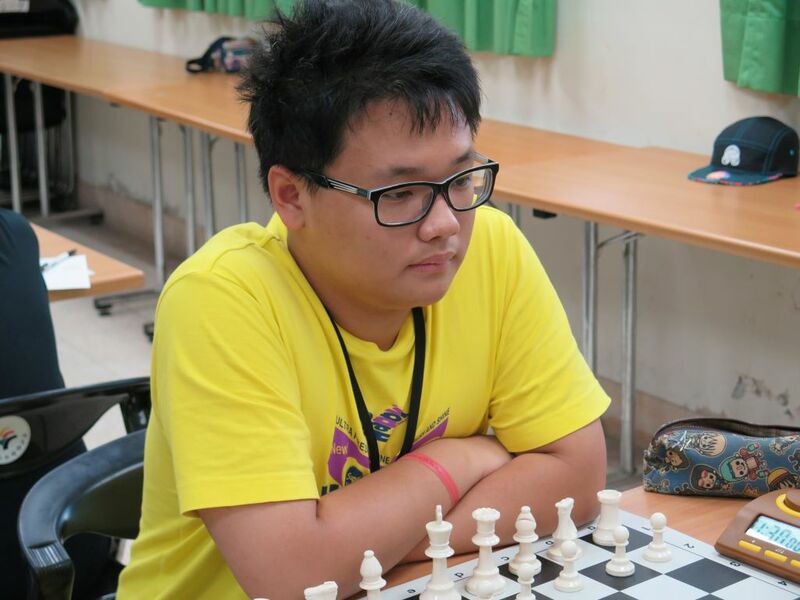 But Liu suffered his first loss against Lin in the penultimate round leaving him half a point ahead of Thanadon and one point clear of Pardino, Koji, Sahapol, and Lin, and so only needing a draw against Poompong in the last round. 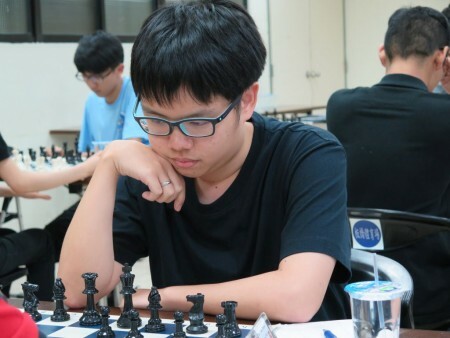 Thanadon quickly won to move half a point ahead and so it came down to whether Liu could at least draw Poompong but in the end he even won to be a deserving winner and become the first ever Taiwanese to win this event! Pardino and Koji also won the final round games to take joint 3rd to 4th places on 6.5/9, behind Liu on 7.5/9 and Thanadon on 7/9. It was a completely different story in the U-16 as Chinese Taipei’s Hsu Hsuan-Ming simply ran away with victory, leading from the start and with seven points after eight games had already won with one round still to play.